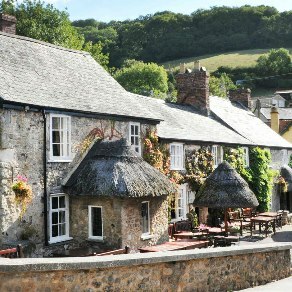 Welcome to our selection of hotels and inns in South West England, including Cornwall, Devon, Dorset and Somerset. Visit the English Riviera and enjoy the delights of Devon cream teas, farmhouse cider, quaint little fishing villages, beautiful sandy beaches and rocky little Cornish coves. Inland, why not explore dramatic, beautiful Exmoor and Dartmoor, where wild ponies still roam free. 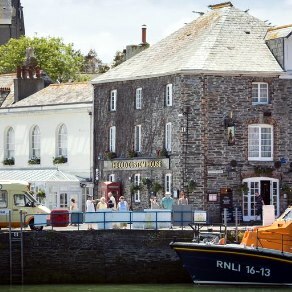 Famous for its fine food, award winning ales and elegant accommodation, the Old Custom House is situated in the heart of Padstow. 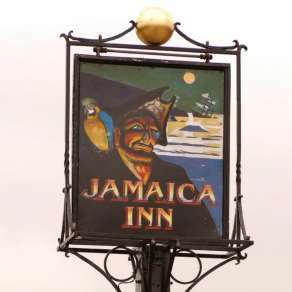 Daphne Du Maurier's atmospheric Jamaica Inn is set high on wild and beautiful Bodmin Moor. 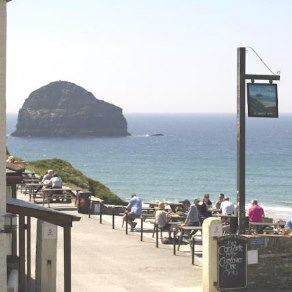 The four star Port William Inn is situated on the North Cornwall coast and is renowned for its excellent restaurant. 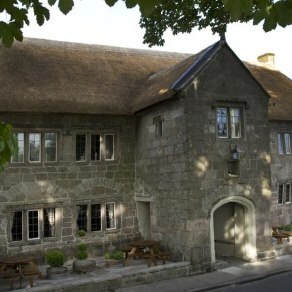 Nestling in the heart of Branscombe is the award winning, 14th Century Masons Arms. Only a ten minute stroll to Branscombe Beach. AA Rosette awarded restaurant. A 13th century coaching inn, the 5 star Three Crowns Hotel is warmly elegant with stone walls, inglenook fireplaces and a stunning courtyard dining area with glazed roof. 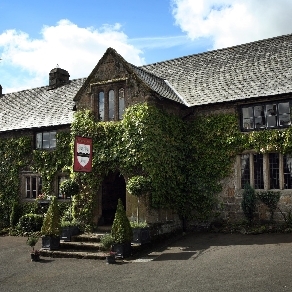 This 12th century Grade II listed former monastery is now a beautiful inn boasting an AA Rosette Restaurant and beautiful 4 AA Gold Star accommodation with stunning Dartmoor views. 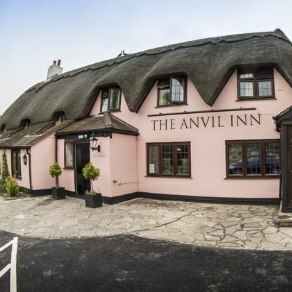 This charming thatched hotel is situated just outside of Blandford Forum, only 40 minutes by car away from the Dorset's Jurassic Coast. 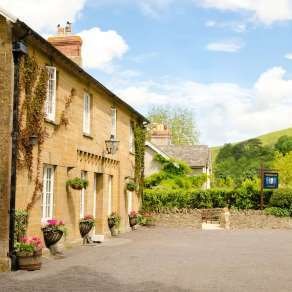 This 5 Star Inn is set in a former 18th century cider house. Stylish and elegant, the Fontmell offers six luxurious bedrooms and a fabulous restaurant. 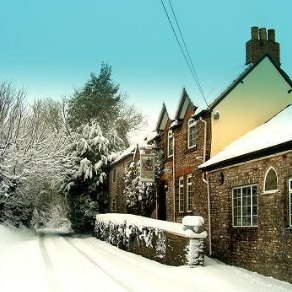 Situated in beautiful Dorset countryside. 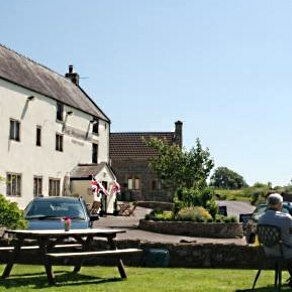 Originally a 19th century hunting lodge, this charming inn is situated on an elevated position overlooking the Chew Valley below. This Grade II listed, 17th-century country inn is steeped in history and intrigue, full of original features and atmosphere. 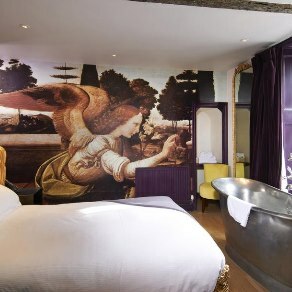 The quirky Archangel epitomises the phrase "gastro pub". 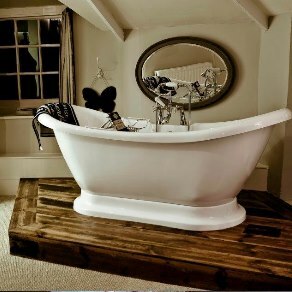 We also have six rooms, described as "boutique in style with a touch of chic".